Dancer. Originally from Santa Barbara, California, Claire moved to Austin from Los Angeles in 2010 after completing a Master’s in arts journalism at the University of Southern California. She grew up studying ballet, modern, flamenco, and Spanish folk dance with Linda Vega in Santa Barbara before getting her B.A. in dance from UC Berkeley. 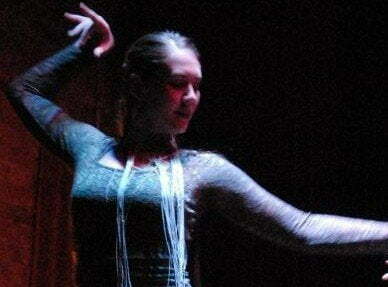 She has danced flamenco with A’lante Dance Ensemble since 2011, and currently teaches at Flamencura Music and Dance.